Hello and welcome to the Premier League transfer news and rumours of the day! Here are the top stories of the surrounding the Premiership! Barcelona target Matthijs De Ligt has claimed that Virgil Van Dijk is an excellent player and that he learns a lot from him. The pair play in defense for the Netherlands and De Ligt was full of praise for the Liverpool star. When he was asked about the possibility of linking up with Van Dijk at Liverpool, he opened up to it claiming that there is a chance of it happening. However, he is currently only focused on Ajax and will only think about his next club later. 'Virgil is a player who has experience in the top leagues. Of course, you want to learn from him,’ he said. Former Juventus star and Italy legend Gianluigi Buffon has claimed that he could have ended up at Manchester United but rejected the move. According to Buffon, Sir Alex Ferguson was tracking him during his time at Parma but the goalkeeper preferred staying in Italy at the time. “When I was a boy playing for Parma, [Sir Alex] Ferguson tracked me closely for two or three years, He’d always send scouts to watch me. At the time, Parma was my world and I didn’t feel like leaving.” the PSG star revealed. 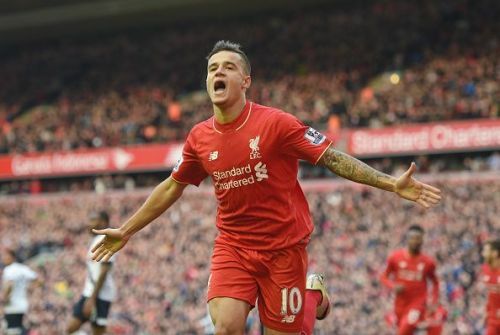 According to reports, Coutinho could move back to Liverpool. The Brazilian is currently going through a rough patch at Barcelona and the Catalans are considering letting him leave. He could go back to Liverpool for £100 million, which is around £40 million less than what the Blaugrana paid for him. Pep Guardiola wants a big star for his team, according to reports, and has eyed Kylian Mbappe as the one to fill that void. He is set to offer €150 million plus Gabriel Jesus to PSG to acquire the services of the French World Cup winner. According to the Express, Alexis Sanchez has no desire to leave the Old Trafford in the summer. The Red Devils wanted to sell him to relieve some pressure on the wage bill but the Chilean has no desire of leaving the Theatre of Dreams.